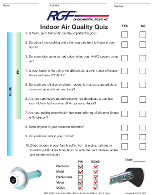 Indoor air quality is a very important aspect of any HVAC system. 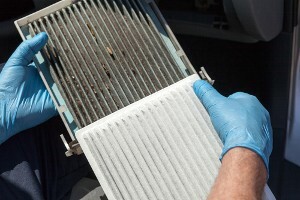 Michigan HVACR would be happy to analyze your heating and cooling system, after which we will design a plan utilizing UV (ultraviolet) air purifiers, HEPA (high-efficiency particulate air) air filters, ionizers, and electronic air cleaners that will greatly improve the indoor air quality of your home or business. Often these upgrades and improvements are surprisingly inexpensive. Where Do Indoor Pollutants Come From? These tiny creatures and particles occur naturally — the real trouble begins when they infiltrate your home and multiply unchecked. Today's homes are built much "tighter", so less fresh air enters and the concentration of pollutants in the air inside the home rises dramatically. In fact, the Environmental Protection Agency (EPA) estimates that indoor air pollution can be as much as 100 times greater than outdoor air pollution. GeneralAire® High-Efficiency Air Cleaners effectively remove airborne microscopic particulates indoors to leave you with cleaner and fresher air. Dramatically improve your indoor air quality with GeneralAire® Air Cleaners so you may breathe a little easier! 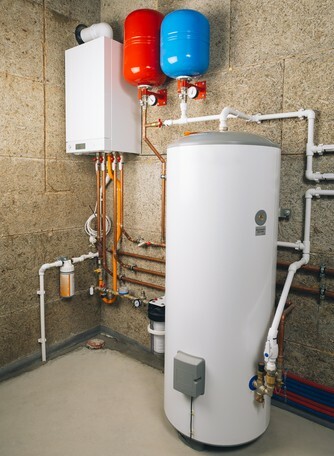 Your Heating System is among the most important homeowner choices you have. All things a beloved family home should be. And, just what we appreciate about this modern era, Efficient, Amazing Furnaces! Which allow us to live our lives with little worry of how we will stay warm? No, you’ve got Michigan HVACR on your team! We are going to help you get the most from your heating system. So, make plans! You can rest assured your healthy home will be up to the task of Letting you Live. It is the Customer's Responsibility to complete & register your HVAC products in order to activate your Manufacture warranty. Dry air can cause considerable physical discomfort - from nose bleeds and increased allergies and asthma symptoms to greater occurrences of bronchitis and sinusitis, dehydration, itchy, and cracked skin. Dry air increases the risk of infection, and your home's woodwork can crack. Occurrences of static electricity can even harm electronics requiring pricey repairs or replacement. Humidifying your home can help you save energy and money! Warm and humid summer air feels hotter than it actually is, because of the moisture it contains. That same principle applies to your home in the winter. By keeping the relative humidity inside your home at an ideal level, you can turn your thermostat down a few degrees and still feel comfortable. It is well established that indoor air pollution can be the result of cleaning chemicals, mold, microorganism growth in carpets, poor building ventilation, and outgassing due to construction products used in new homes and renovations. The control of indoor pollutants is extremely important, because of the adverse effects they can cause regarding one's long-term health. Common symptoms resulting from poor indoor air quality include headaches, fatigue, eye irritations, asthma attacks, breathing problems, dizziness, memory loss, depression, skin irritations, sinus infections, colds, flu, and viruses. Exposure to even low levels of contaminants can potentially lead to long-term health problems. GeneralAire® UV Air Purifiers are designed to bring the balance of nature to your home for improved indoor air quality. What Does An ERV or HRV System Do? The goal of a ventilation system is to bring fresh air from the outside into your home. A balanced ventilation system exchanges the home's stale air with fresh outside air while recovering as much of the heating or cooling energy as possible. 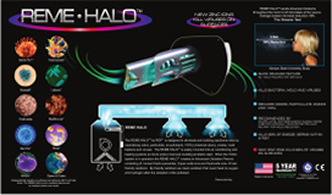 It is designed to provide enough fresh air to keep occupants healthy, remove odors, reduce moisture, remove indoor pollutants and lower the relative indoor humidity. Do I need an ERV or HRV System? Ventilating your home by opening windows and doors may not be feasible, due to weather conditions, security concerns, or noise levels. 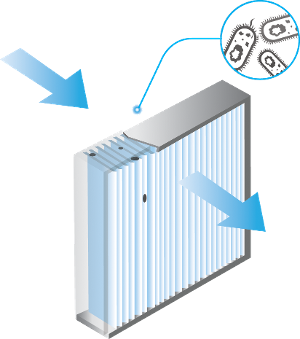 Installing A GeneralAire® HRV or ERV brings fresh air into your entire home, providing safer, cleaner, fresher air. 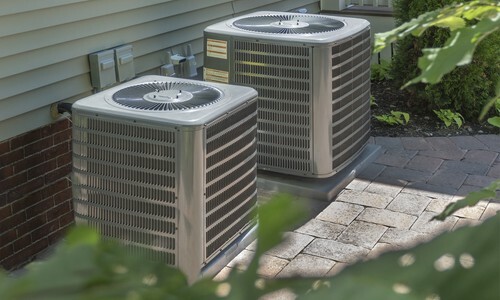 Your Cooling System is among the most decadent homeowner choices you have. Know what I mean West Michigan?! Quality Comfortable Air Conditioning System. Made in the USA products & equipment. Please let us know as we likely can provide it. ENERGY STAR® is the government-backed symbol for energy efficiency, providing simple, credible, and unbiased information that consumers and businesses rely on to make well-informed decisions. Thousands of industrial, commercial, utility, state, and local organizations—including more than 40 percent of the Fortune 500®—rely on their partnership with the U.S. Environmental Protection Agency (EPA) to deliver cost-saving energy efficiency solutions. Ninety-percent of American households recognize the ENERGY STAR, making it one of the most widely recognized consumer symbols in the nation. Together, since 1992, ENERGY STAR and its partners have helped save American families and businesses more than $450 billion and over 3.5 trillion kilowatt-hours of electricity while also achieving broad emissions reductions—all through voluntary action.